As for me, the beau and I along with our fur baby headed down the coast an hour out to Santa Cruz for the day. For starters, we ate brunch at the Sea Breeze Cafe where they make home made cinnamon rolls which were full of warm nutty buttery goodness. 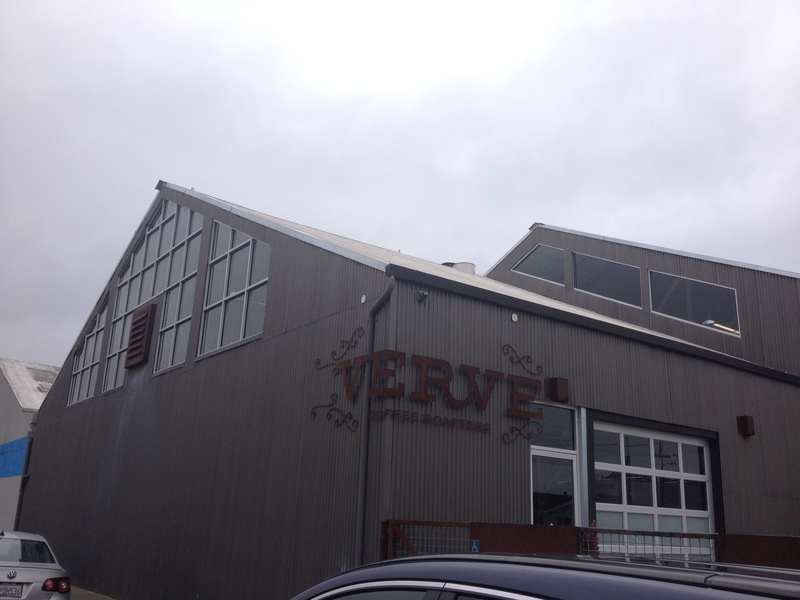 We stopped for some Verve Coffee at their roasting plant behind the cafe. 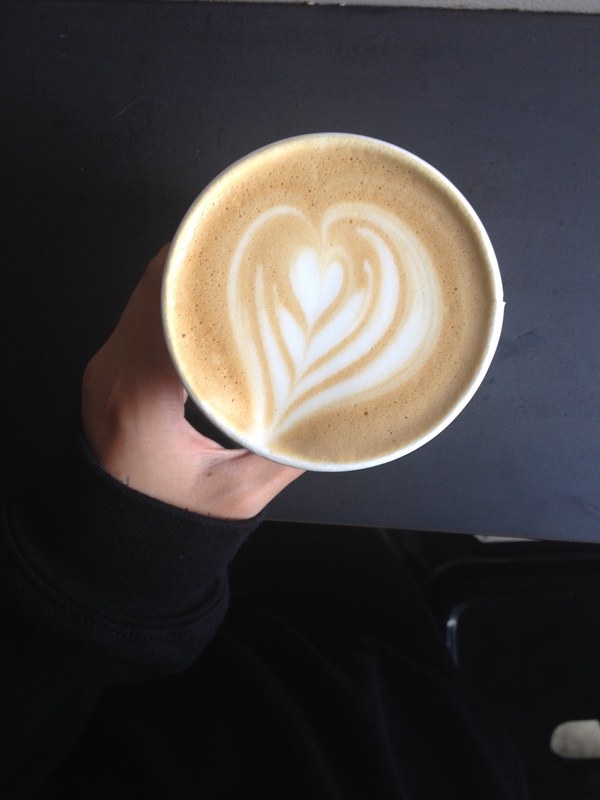 Serious lattes are churned outta there, they are top notch and even have one in Los Angeles. Driving up a bit more, we stopped to walk along the coast ridge and then walked all the way down towards the Boardwalk. After looking at a beach side open house going for a cool 2.5 million we decided that we only like the idea of being near water or seeing it from afar. So with that being said we hopped in the car and drove to downtown Santa Cruz for ice cream at the Penny Creamery. A nice pick me up from walking the coastline before we headed north to Scott’s Valley. What’s in Scott’s Valley you say? Sushi at Otoro, which was a superb way to end our day trip. On the Verve. Roasting Plant. 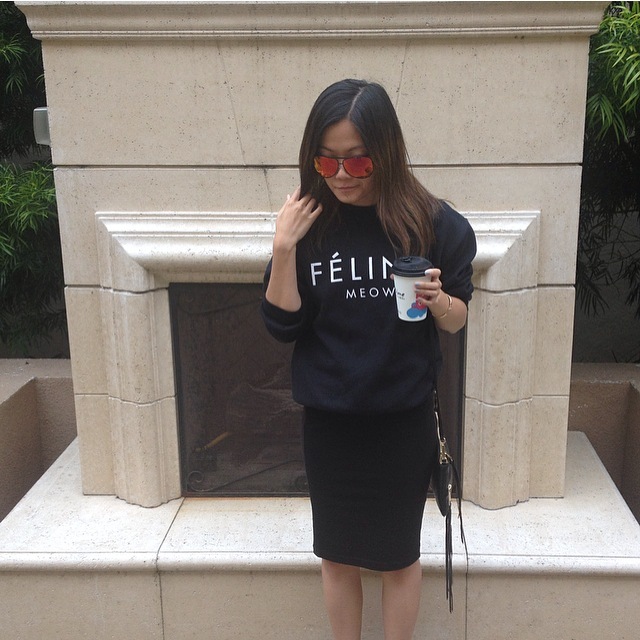 Great photos, I love your sweater! 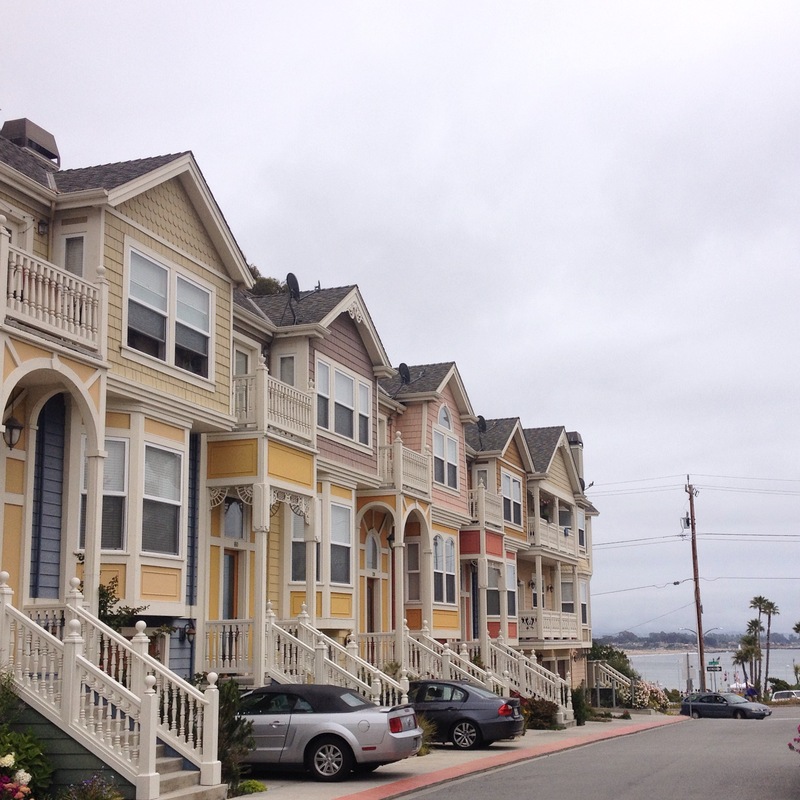 Oh my goodness, those pastel coloured houses are stunning! I gotta say I love the name of you blog! Your outfit is perfect! That ice cream looks delicious. You got some great photos of your day! I love your outfit! 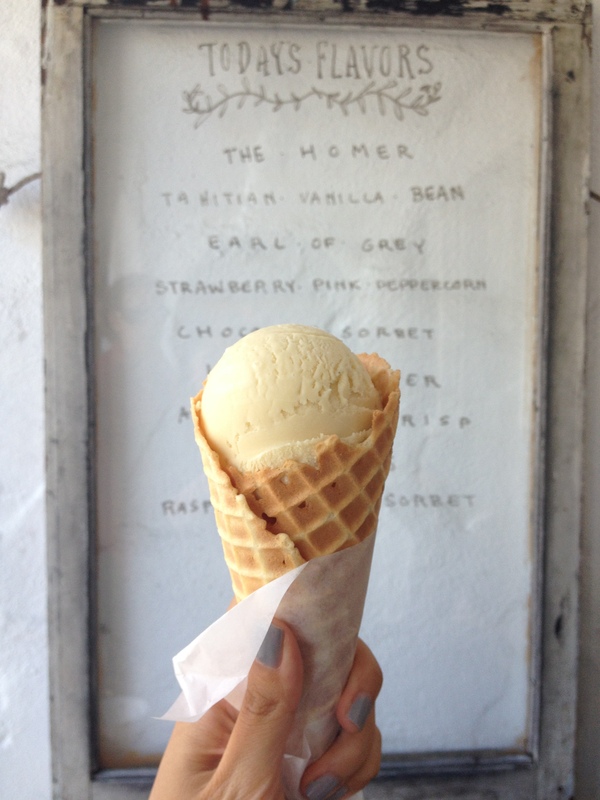 And that ice cream looks sO good! Gorgeous inspirational pictures! Love your sunnies! Sounds like you had a GREAT MDW! Love the snap shots and your sweater is adorbs. LOVE LOVE LOVE it. Beautiful photos! I love your all black ensemble, especially the top! 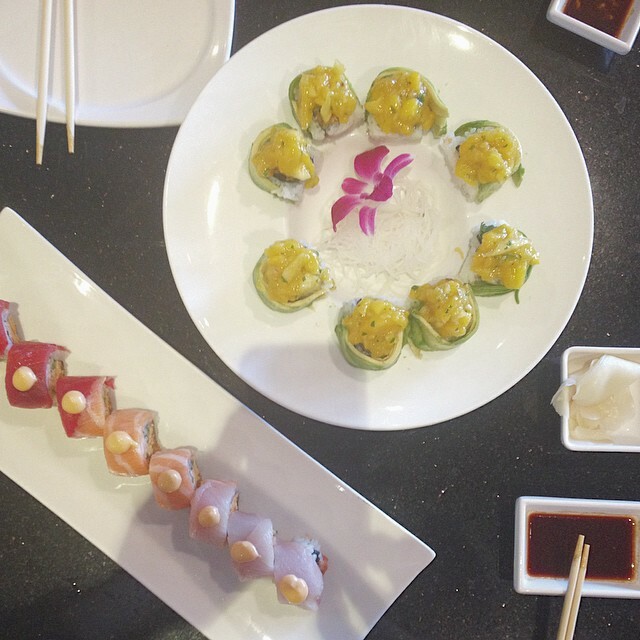 The sashimi looks delicious!! 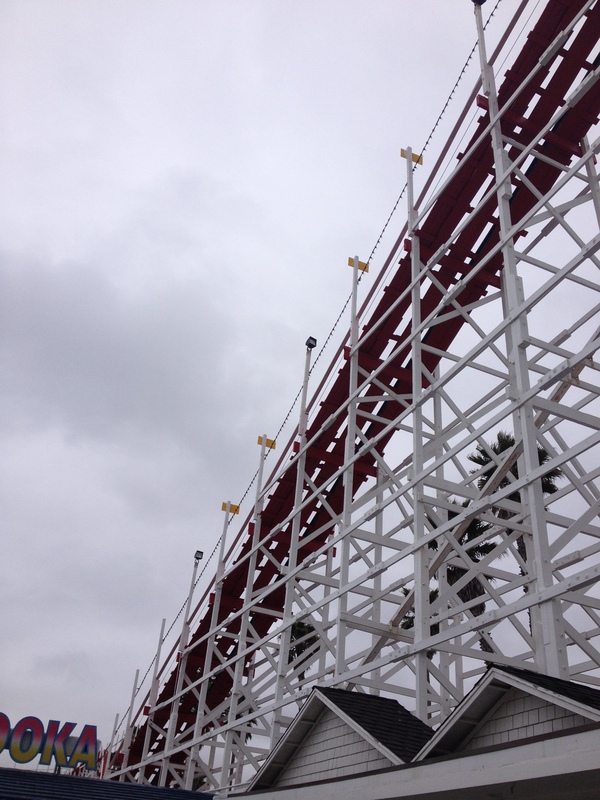 Looks like you had a lot of fun even on a gloomy day! Love the sunnies!